Armored Vehicles Market Worth $16.8 Billion by 2023, at a CAGR of 3.25% from 2018 to 2023. According to the new research report “Armored Vehicles Market by Platform (Combat Vehicles, Combat Support Vehicles, Unmanned Armored Ground Vehicles), Mobility (Wheeled, Tracked), System (Engine, Drive Systems, Ballistic Armor, Turret Drive, C2 Systems), Region – Global Forecast to 2023”, published by MarketsandMarkets™, the Armored Vehicles Market is projected to grow from USD 14.3 billion in 2018 to USD 16.8 billion by 2023, at a CAGR of 3.25% from 2018 to 2023. Based on mobility, the market has been segmented into wheeled and tracked. The wheeled segment is projected to grow at a higher CAGR as compared to the tracked segment during the forecast period. Increased demand for 4×4 light armored vehicles by military forces to carry out Intelligence, Surveillance, and Reconnaissance (ISR) activities and transport defense personnel and equipment from one location to another is fueling the growth of this segment of the market. 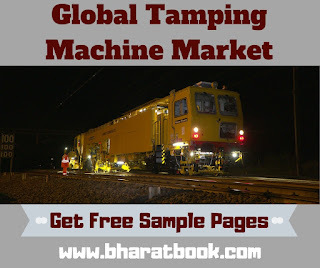 Bharat Book Bureau Provides the Trending Market Research Report on “Global Tamping Machine Market 2019 by Manufacturers, Regions, Type and Application, Forecast to 2024“ under Machinery & Equipment category. The report offers a collection of superior market research, market analysis, competitive intelligence and industry reports. Early machines only lifted the track and packed the ballast. More modern machines, sometimes known as a tamper-liner or tamping and lining machine, also correct the alignment of the rails to make them parallel and level, in order to achieve a more comfortable ride for passengers and freight and to reduce the mechanical strain applied to the rails by passing trains. This is done by finding places where the sleepers have sunk from the weight of the passing trains or frost action, causing the track to sag. The tamper lifts each sleeper and the rails up, and packs ballast underneath. When the sleeper is laid down again, the sagged rails now sit at the proper level. In cases where frost action has caused adjacent rails to rise higher, ballast tampers can raise rails above their original level to make the line level again. “Lining” rails doesn’t involve ballast tamping, it merely ensures the rails are perfectly parallel and straight as possible. Combining tamping and lining into a single machine saves time and money, as only one machine needs to be run over the track to perform both functions. In the future, more and more companies will choose direct sale to customers in order to cut cost of sales. With the trends of more and more diverse needs from customers, there will be more customized sales. Besides, big companies with good reputation will choose to establish its own online order platform to cut cost. The worldwide market for Tamping Machine is expected to grow at a CAGR of roughly 8.3% over the next five years, will reach 3400 million US$ in 2024, from 2110 million US$ in 2019. This report focuses on the Tamping Machine in global market, especially in North America, Europe and Asia-Pacific, South America, Middle East and Africa. This report categorizes the market based on manufacturers, regions, type and application. • Chapter 1, to describe Tamping Machine product scope, market overview, market opportunities, market driving force and market risks. • Chapter 2, to profile the top manufacturers of Tamping Machine, with price, sales, revenue and global market share of Tamping Machine in 2017 and 2018. • Chapter 3, the Tamping Machine competitive situation, sales, revenue and global market share of top manufacturers are analyzed emphatically by landscape contrast. • Chapter 4, the Tamping Machine breakdown data are shown at the regional level, to show the sales, revenue and growth by regions, from 2014 to 2019. • Chapter 12, Tamping Machine market forecast, by regions, type and application, with sales and revenue, from 2019 to 2024. • Chapter 13, 14 and 15, to describe Tamping Machine sales channel, distributors, customers, research findings and conclusion, appendix and data source. 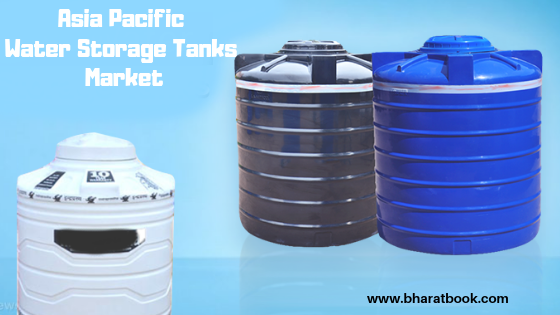 Bharat Book Bureau Provides the Trending Market Research Report on “Asia Pacific Water Storage Tanks Market Report (2014-2024) – Market Size, Share, Price, Trend and Forecast” under Machinery & Equipment category. The report offers a collection of superior market research, market analysis, competitive intelligence and industry reports. This report is an essential reference for who looks for detailed information on Asia Pacific Water Storage Tanks market. The report covers data on Asia Pacific markets including historical and future trends for supply, market size, prices, trading, competition and value chain as well as Asia Pacific major vendors¡¯ information. In addition to the data part, the report also provides overview of Water Storage Tanks market, including classification, application, manufacturing technology, industry chain analysis and latest market dynamics. Finally, a customization report in order to meet user’s requirements is also available. 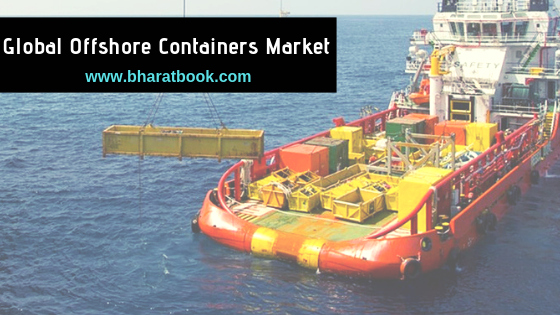 Bharat Book Bureau Provides the Trending Market Research Report on “Global Offshore Containers Market 2019 by Manufacturers, Regions, Type and Application, Forecast to 2024” under Heavy Industry category. The report offers a collection of superior market research, market analysis, competitive intelligence and industry reports. This report studies the global Commercial Glass Greenhouse market status and forecast, categorizes the global Commercial Glass Greenhouse market size (value & volume) by manufacturers, type, application, and region. This report focuses on the top manufacturers in North America, Europe, Japan, China, and other regions (India, Southeast Asia). • Argus Control Systems Ltd. Focuses on the key Commercial Glass Greenhouse manufacturers, to study the capacity, production, value, market share and development plans in future. This report studies the global Ring Laser Gyroscope market status and forecast, categorizes the global Ring Laser Gyroscope market size (value & volume) by manufacturers, type, application, and region. This report focuses on the top manufacturers in North America, Europe, Japan, China, and other regions (India, Southeast Asia). • Focuses on the key Ring Laser Gyroscope manufacturers, to study the capacity, production, value, market share and development plans in future. This report studies the global Feeder And Distribution Pillar market status and forecast, categorizes the global Feeder And Distribution Pillar market size (value & volume) by manufacturers, type, application, and region. This report focuses on the top manufacturers in North America, Europe, Japan, China, and other regions (India, Southeast Asia). • Focuses on the key Feeder And Distribution Pillar manufacturers, to study the capacity, production, value, market share and development plans in future. 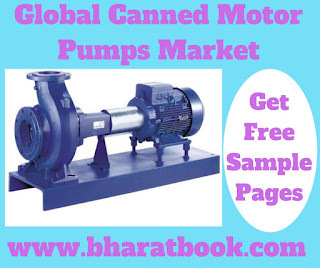 Bharat Book Bureau Provides the Trending Market Research Report on “Global Canned Motor Pumps Market 2019 by Manufacturers, Regions, Type and Application, Forecast to 2024” under Machinery & Equipment category. The report offers a collection of superior market research, market analysis, competitive intelligence and industry reports. • Standard basic pumps are the largest type of canned motor pumps, which accounted for 36.79% in 2015. Other major types include high temperature pumps, reverse circulation pumps, pumps for liquid with high melting point, etc. • The major applications of canned motor pump are chemical industry, oil & gas, nuclear energy industry, HVAC Industry The largest consumption area in terms of volume is HVAC industry, which accounted for 49.39 % of world canned motor pumps consumption. • The worldwide market for Canned Motor Pumps is expected to grow at a CAGR of roughly 7.9% over the next five years, will reach 3390 million US$ in 2024, from 2150 million US$ in 2019. • This report focuses on the Canned Motor Pumps in global market, especially in North America, Europe and Asia-Pacific, South America, Middle East and Africa. This report categorizes the market based on manufacturers, regions, type and application. • Chapter 1, to describe Canned Motor Pumps product scope, market overview, market opportunities, market driving force and market risks. • Chapter 2, to profile the top manufacturers of Canned Motor Pumps, with price, sales, revenue and global market share of Canned Motor Pumps in 2017 and 2018. • Chapter 3, the Canned Motor Pumps competitive situation, sales, revenue and global market share of top manufacturers are analyzed emphatically by landscape contrast. • Chapter 4, the Canned Motor Pumps breakdown data are shown at the regional level, to show the sales, revenue and growth by regions, from 2014 to 2019. • Chapter 12, Canned Motor Pumps market forecast, by regions, type and application, with sales and revenue, from 2019 to 2024. • Chapter 13, 14 and 15, to describe Canned Motor Pumps sales channel, distributors, customers, research findings and conclusion, appendix and data source.